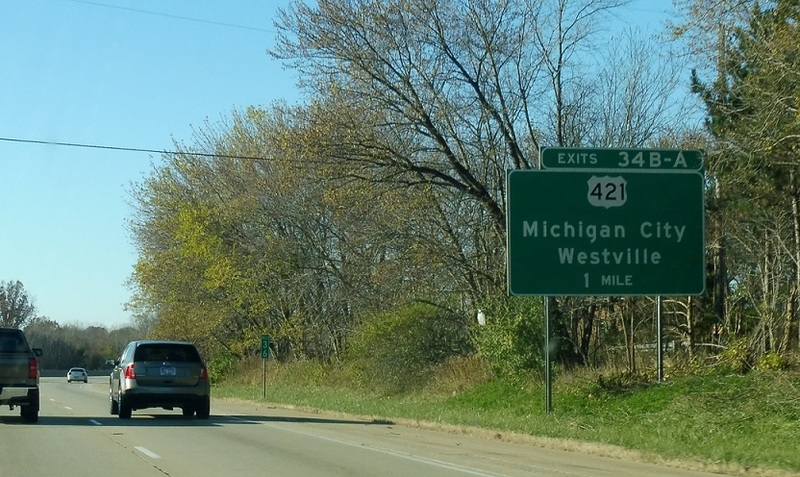 Reassurance shield after the US-20 exit. 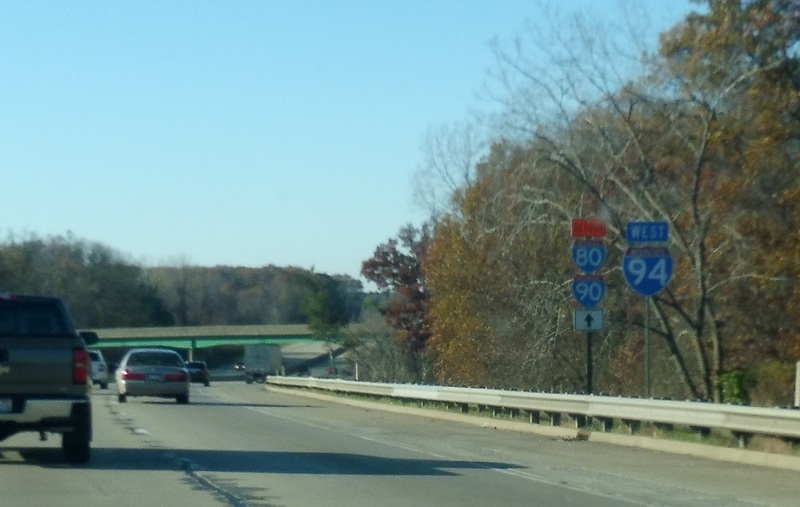 This is also an emergency routing of I-80/I-90. 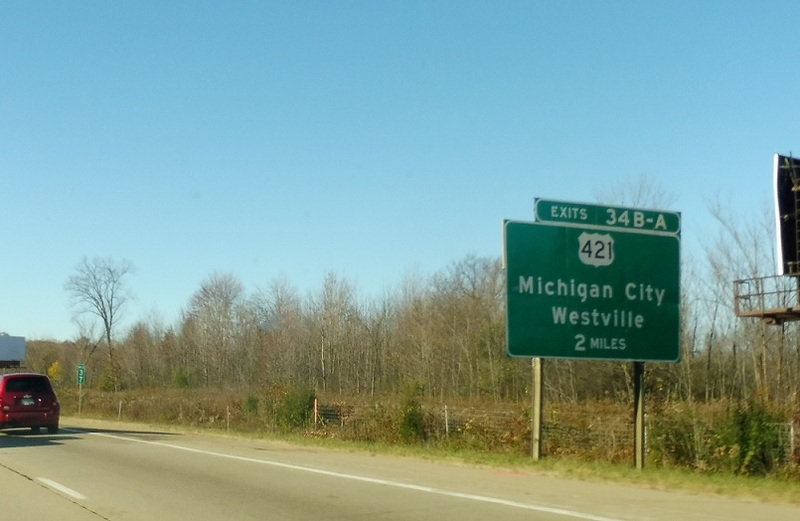 A few miles later, we’ll approach US-421. 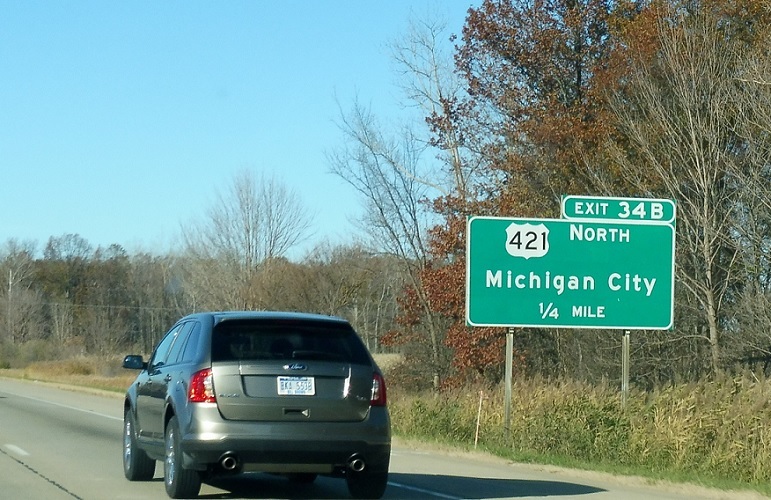 421 north heads into downtown Michigan City. 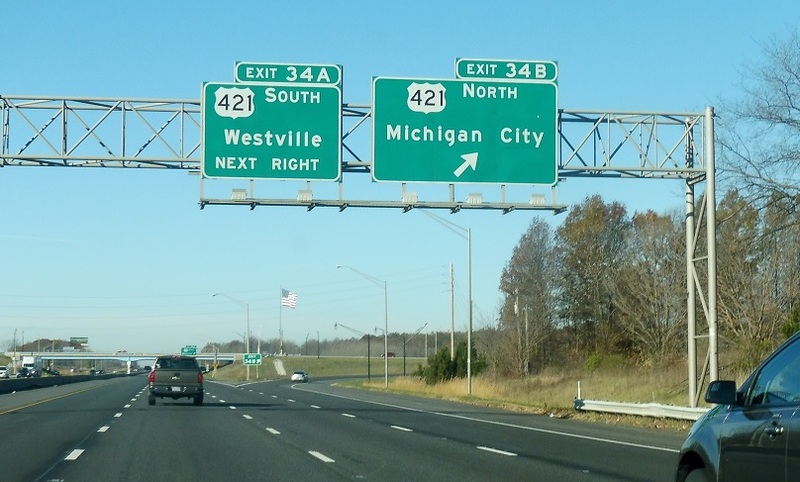 Exit for 421 north to Michigan City. 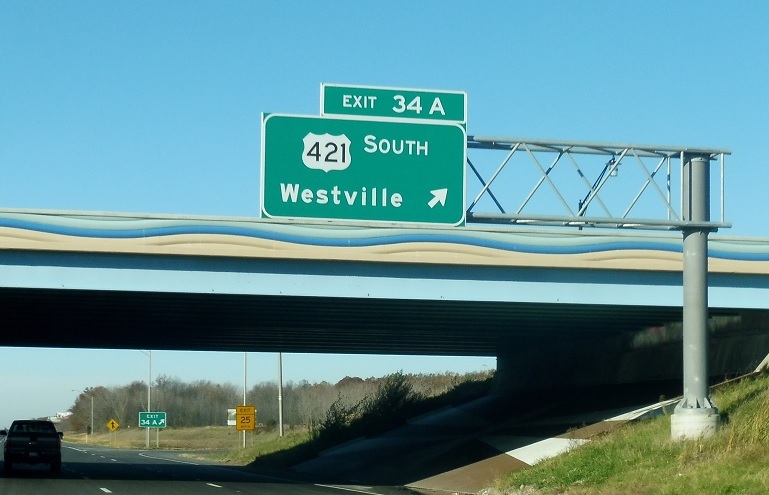 Follow 421 south to Westville.